Nicknamed “The Grand Canyon State,” Arizona was the last of the 48 contiguous states to achieve statehood in 1912. The discovery of copper in 1854 led the population of Arizona to expand, and copper mining remained Arizona’s top industry until the 1950s. When refrigeration and air conditioning became widespread after World War II it led to a boom in Arizona’s population and made Phoenix one of the fastest growing cities in the nation. The amount of illegal narcotics that flow over the Arizona-Mexico border is a contributing factor that has led to Arizona ranking at the top of states in the union when it comes to residents suffering from drug and alcohol addiction, according to a 2010 report by the National Survey on Drug Use and Health (NSDUH). In 2008, Arizona topped the national average for deaths that were drug-induced at 15.5 per 100,000 people. (According to the Center for Disease Control.) The national average for drug-induced deaths in 2008 was 12.7 deaths per 100,000. By the sheer numbers, 981 people were killed in drug-induced incidents in 2007, compared to 951 people who were killed with firearms, and 1,104 people who lost their lives to motor vehicle related accidents. In the same NSDUH study, Arizona fell in the top ten among states young adults 18-25 who used drugs other than marijuana. 9% of Arizonans reported abusing illicit drugs in the last month, compared to the U.S. national average of 8%. If you are suffering from drug or alcohol abuse, Arizona is an excellent state to find treatment and therapy. The Phoenix suburb of Scottsdale has some of the best resorts and golf courses in the country. It also offers hiking and biking trails, and borders on the Sonoran desert, which can provide for serene locales to relax, meditate and reflect on overcoming your addiction. Tucson, in the south, and Flagstaff, in the north (each about two hours from Phoenix) are situated in and among mountain ranges which offer skiing, snowboarding, rock-climbing and other outdoor activities. Sedona and the Grand Canyon are also great getaways if you’re looking for a scenic and peaceful road trip as part of your rehabilitation. Wherever you go for help, we strongly recommend getting help somewhere. Addiction is a disease, but it’s a disease that can be conquered. It’s not easy though, and it’s a lifelong endeavor. Drug and alcohol addiction is an excruciating and miserable disease to endure. All across the nation, millions of people suffer from drug and alcohol addiction, and their loved ones and friends often are also victimized by this disease. Many addicts are in denial of their addiction and aren’t aware of the destruction it’s causing in their life and the lives of those around them. To further complicate the disease, many warning signs aren’t even present until the substance abuser is already deep in the clutches of their addiction. It takes a great deal of courage, honesty and humility for an addict to admit they have a problem with drugs or alcohol, and the same amount of courage to reach out and ask for help. Rehabilitation (rehab) is the treatment process aimed at helping addicts recover from their addiction. Rehab encompasses an addict understanding their affliction, recognizing the triggers, knowing how their substance of choice affects them, and learning how to live a healthy and drug-free life as an addict in recovery. The various aspects of rehab include physical, psychological, physiological, medical and social. 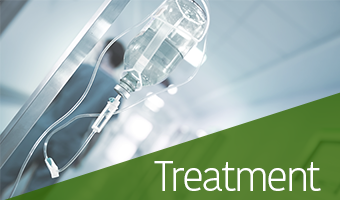 A wide variety of treatment therapies exist within rehab that are available to substance abusers through many treatment facilities. These include: Individual therapy, group therapy, family therapy, cognitive-behavioral therapy, inpatient & outpatient care, group meetings, 12-step programs, music, equine and yoga therapies. The premiere treatment facilities offer all of these, as well as a separate treatment center for detoxification, and aftercare programs as a transition to the “real world” for those recovering addicts who have graduated from rehab. Substance abusers can feel powerless in overcoming their addiction, and the friends, family and loved ones of substance abusers can also feel powerless in trying to help them. 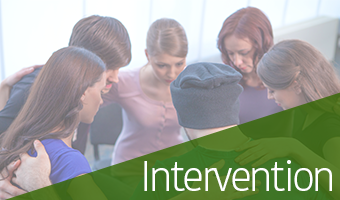 The family and friends of substance abusers have a powerful tool to help their loved one with: intervention. Often the first step toward recovery for an addict, intervention is a gathering of family, friends and loved ones aimed at convincing the addict that they have a problem and that they need professional help. It’s best to call upon the assistance of a professional interventionist, but if one is not available, you can stage the intervention yourself. There are different modalities for intervention– they can be confrontational or non-confrontational, but should always be non-judgmental and based on compassion, love and care. If you have any questions about intervention, give our trained specialists a call and they will be able to answer your questions and give you pointers on stating your own intervention. If you are concerned about backlash from the substance abuser, our specialists can recommend tactics and approaches to avoid conflict. The goal in intervention is to persuade the substance abuser to get help for their addiction, and the first step is enrolling in a detoxification treatment center– or detox. 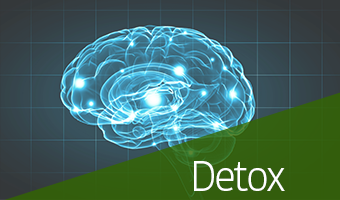 When an addict is actively using mind-altering substances, a period of detoxification (or detox) is required to purge their bodies of the toxins of drugs and alcohol so they can prepare their mind and body to begin rehab. Detox is a 24-hour supervised care by medical professionals. Some addicts may need prescription medication, and I.V. for nutrition or dehydration to cope with their withdrawal symptoms during detox. Detox is imperative for the rehabilitation of those who are addicted to benzos and alcohol, as these can result in deadly withdrawals without the proper medical care. Detox isn’t therapy though. It’s a treatment that prepares addicts for therapy. How Do You Know if You Need Rehab for a Drug or Alcohol Addiction? Whether a substance abuser has just started abusing, or they have been an addict for years, all substance abusers can benefit from rehabilitation. Most treatment centers offer therapy for the following substances: opiates (heroin, codeine), crystal meth, cocaine, designer drugs, prescribed drugs (hydrocodone, oxycodone, pharmaceuticals), hallucinogens, alcohol and marijuana. By evaluating a substance abuser’s psychological issues and analyzing the types of substances they abused (and the nature of their abuse), therapists can create an effective treatment plan, customized for the individual. Most rehab programs will also recommend an aftercare program to help transition a recovering addict to the “real world” while avoiding the possibility of relapse. When someone abuses a mind-altering substance, the brain discharges “feel good” neuro-transmitters. These can be in the form of dopamine or endorphins, or both, and they are the natural chemicals the brain secretes to provide us with pleasure and natural “highs”. Alcohol and drugs prompt a massive increase of these, and some levels are so high that the effect will last for several hours. The brain remembers this association with the activity of substance abuse and neuro-transmitter release and actually re-wires itself to facilitate even more substance abuse. This process is the physiological definition of addiction. The body will slow production of neurotransmitters when it detects high levels of them created from drugs and alcohol. When addicts stop using, the detoxification process eliminates dopamine and endorphins, even those naturally produced, resulting in depression and withdrawal, which compels the user to keep abusing substances to escape the pain. Our expert therapists strongly recommend that recovering addicts enroll in aftercare upon their completion of rehab. Aftercare is also called “continuing care”, and is a stage of treatment at inpatient facilities, residential sobriety housing or halfway housing that helps ease the transition of recovering addicts back to the real world. There are also outpatient aftercare facilities. The success rate of recovering addicts is much higher when they enroll in aftercare upon completing rehab. Additional benefits include community engagement and interaction with professionals in a work environment, to assist in the transition back to the work force. Unfortunately, there isn’t a cure for drug and alcohol addiction. However, addicts who receive treatment at accredited and medically managed treatment programs regularly find success in their rehabilitation. Additional therapies exist beyond medically based ones including physical and recreational activities, 12-step meetings, and behavioral modeling. Many recovering addicts attribute their success to the sponsors who have mentored them, and who are also recovering addicts. There’s a saying among addicts in recovery that if you’re going through a maze, the best way out of it is with someone who already knows the way out. If you are struggling with substance abuse addiction in Arizona, and would like more information on drug and alcohol rehab, detox, intervention or addiction in general, give us a call today at (623) 335-0909.